Donate food to a food bank: “One of the most effective ways to encourage children to share is by creating situations in which a child sees the benefits of sharing,” says Explain to your children that sharing what you have can make a family in need very happy. Playdates: Kids learn to share from other kids, so bring little ones together for playdates and always be available to teach a lesson in sharing with the opportunity presents itself. It helps to also create opportunities for your kiddo to share. Bake yummy treats for when your child’s friends come over, and encourage your little one to share the treats with everyone when they arrive! Set out a timer: Little ones haven’t developed a sense of time, so they won’t know what it truly means to “wait a few minutes.” Letting them watch three or five minutes pass on a timer, however, shows them how quickly time passes and often helps it pass quicker! Respect their limits: “In general, children of this age don’t naturally understand or consider the feelings of others,” says Bonifield. “Even three- and four-year-olds can only truly be expected to share selectively — they will often guard the toys and possessions that are most important to them.” Allow your child to set aside a few toys that they do not have to share when friends are visiting. It’s best to keep these cherished items tucked away in an off-limits area so they are out of reach for all playdate attendees. 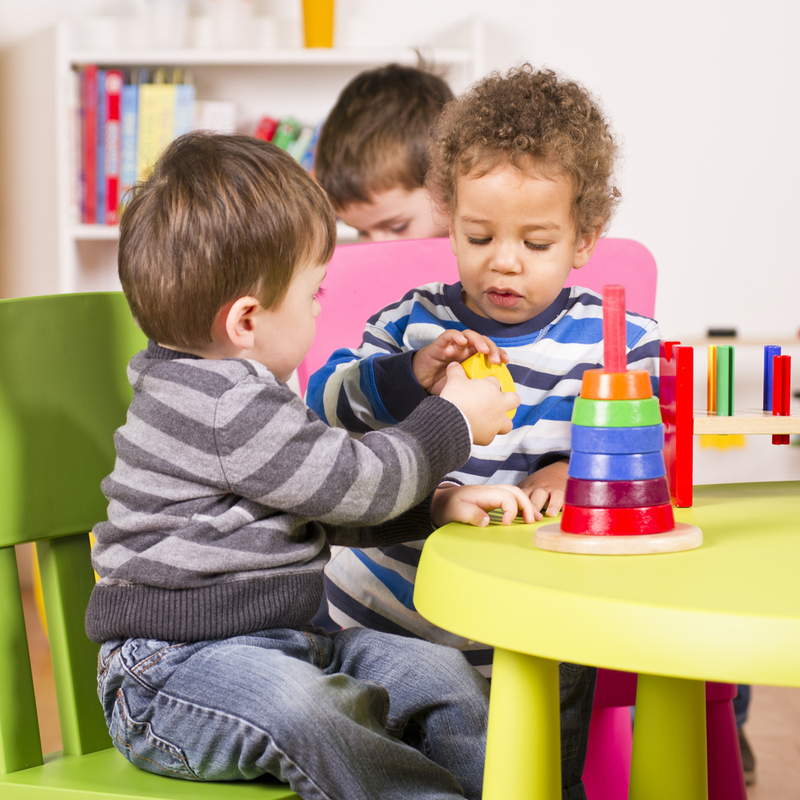 Your child will be glad to keep their special items safely protected and may be more open to share their other toys!